Edgar Schein is a social psychologist who has introduced a raft of ideas around organizational culture, and placed his thinking at the heart of the subject. He was brought to The Sloane School of Management by Douglas McGregor, where he was a contemporary of Warren Bennis. Though less widely known, he seems to me to be every bit their equal. Edgar Schein was born in 1928 in Zurich and moved to the United States. There he became a citizen and studied Social Psychology, gaining a BPhil from the University of Chicago, and MA from Stanford, and his PhD in Social Psychology from Harvard, in 1952. Following this, he spent four years in the US army, studying both leadership and, importantly for his later thinking, the rehabilitation of prisoners of war (POWs) returning from Korea under the influence of brainwashing. In 1956, Douglas McGregor invited him to join the faculty of the Sloan School of Management at MIT, where he became a professor in 1964 and chaired the Organizational Studies Group from 1972 to 1982. He remains an emeritus professor there. 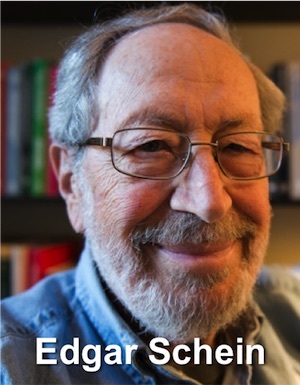 Edgar Schein’s work is deeply concerned with organizational culture and its relationship to behaviours, motivation, learning, management and leadership, and careers. Let’s survey six big themes in his work. Schein sees culture as the dominant force within an organization, and he defines it as a pattern of shared assumptions, about how we relate to one another, how we perceive truth and reality, the balance of task focus with growth and fulfilment, and others. These affect how people behave and the values and social norms that evolve. His primary thinking was captured in his best known book, Organizational Culture and Leadership, originally published in 1985, but now in its fourth edition. In a later article, ‘Organizational Socialization and the Profession of Management‘ he argued that integrating with an organizational culture requires undoing, ‘unfreezing‘ prior cultural norms, and establishing new ones. He related this to what he learned during the Korean War, about brainwashing, and suggested there are three responses to these pressures. In another of Schein’s important text books, Organizational Psychology, (1980), he focused on the idea of a ‘psychological contract’ between an employer and its employees. He credits the original idea to Chris Argyris, but develops it considerably. The psychological contract is a set of undocumented expectations between the organization and its employees. Where expectations match, there will be harmony: where they mismatch, problems arise, such as disloyalty, under-performance, and industrial disputes. Within an organization, Schein identified three management cultures that co-exist and, to a degree, compete unhelpfully with one another. Organizational Learning will come as people evolve their organizational culture to properly integrate these three cultures. Under the pressures of constant change, organizations can only thrive when they learn quickly. The problem is that it is frustrated by employees’ and managers’ fear of change. He calls this fear ‘Anxiety 1’ and argues that for learning to occur, it must be overwhelmed by ‘Anxiety 2’ – the fear of the consequences of not learning, and therefore of not transforming to meet the new realities. He therefore advocates the need for creating a culture where people can feel safe to learn and experiment, as a way of overcoming Anxiety 1 without the need to induce greater levels of fear. Not surprisingly for someone who came to the Sloan School at the behest of Douglas McGregor, Schein’s fertile mind also paid attention to motivation. He created two contributions. 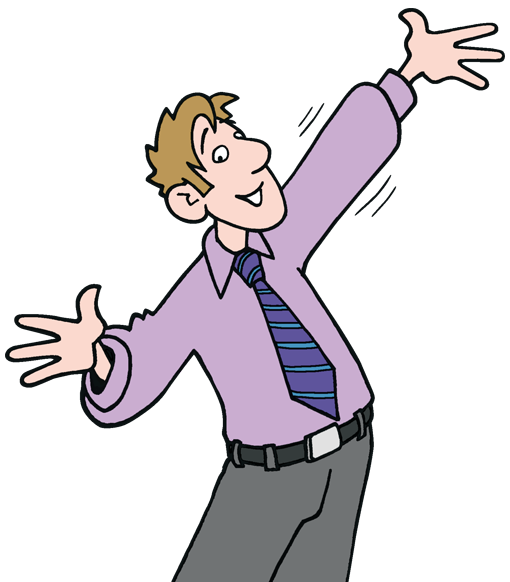 The first was to group models of workplace motivation into three categories, and the second was to add a fourth category. McGregor’s Theory X, building on Taylor’s approaches to Scientific management suggest we act out of compliance with incentives of coercion. Mayo’s Hawthorne experiments suggested we respond to social cures, which was in part captured in McGregor’s Theory Y.
Maslow’s Hierarchy of Needs and, to some extent, McGregor’s Theory Y focused on our need for something more than social or economic benefit. We are all subject to a whole array of needs, expectations, desires, and motivations, and a wise manager will engage with all the subtlety and complexity of each individual. For me, Self Determination Theory is a good introduction to that necessity. We all have perceptions about ourselves. Carol Dweck has shown that we are most successful when we feel free to enlarge these as we learn, rather than see ourselves in a fixed way.